The next time you're in the convenient store, or local marina and pick up a quart of oil for your boat think about this column! Several years ago, when combustion engines were designed and built the most common valve train/camshaft combination were a flat tappet lifter and the appropriate camshaft design. The design lends itself to a direct metal to metal contact while under extreme pressures, and requires a little more specific oil, or oil additive. Up until recently, most, if not all oils contained a Zinc additive. It really wasn't considered or thought of as an additive because most, if not all engines needed Oil with Zinc because of their design. (Remember the ad on TV, "Castrol Syntec, for today’s older and harder working engines" as I remember it anyway) I guess Castrol did not want to buy enough TV time to explain what they really wanted to say about that specific blend. As time moved on, and engineers began to design similar engines with different valve train features, like roller lifters and camshafts along with other roller valve train components Zinc was not considered as beneficial. Engineers had also determined when Zinc got burned in the combustion chambers it eventually caused other failures to parts such as oxygen sensors and catalytic converters on down the exhaust stream. (The things our marine engines don't have yet. YET!!!) The newer and more advanced roller components were not hard, sliding contacts and simply did not need as much additives for friction protection. Therefore Engine Oil Manufacturers began to blend there oil differently, and most now do not use Zinc, or as much of it in their common brand over the counter non-specific engine oils. This is surely not good news for all of us running older design engines. Over the last few years, I've replaced more worn camshafts and lifters than I care to count. Only recently has research and information came out to explain why excessive and premature valve train wear suddenly became a problem. At one time, engine builders even thought seriously that camshaft manufactures and lifter manufactures had begun to use flawed or bad materials when making their products, creating more common and frequent failures. It surely crossed my mind more than once. Simply, this was not the case. The way the Zinc protected the metal to metal moving parts was/is a reaction with the metal surfaces. It created a sacrificial chemical coating that kept the moving parts separated. Now, I am no chemical engineer so I will certainly take their word for it. There seems to be monsters around every corner, especially when it comes to the marine engine environment these days. We face the properties of ethanol in fuels that deteriorate fuel components! Specific engine oil blends and many more things. Don't pick up that cheap quart of oil and throw it in the boat so that you can add it later, when the oil gets low. If you don't know about the internals of your engine, simply research it, or call a qualified shop of your choice. This is certainly not a huge problem for mild power applications with marine use yet, but it's probably because of lack of use. The above information is based on my personal views and real life instances. It is also based on limited research available to the general public. 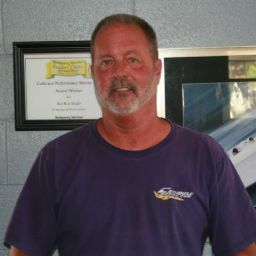 In my opinion, it is always best to have your boat serviced and maintained at a reputable facility that you trust.